The eyes are one of the main focal points of the face. Therefore, it is not surprising to find that many people in Virginia notice the first effects of aging around their eyes. The presence of bags under the eye, wrinkles, and excess skin make the person appear perpetually tired or sad. Surgery of the eyelids can eliminate these problems and make the person appear livelier, healthier, and younger. The operation is usually done under local anesthesia with sedation. Blepharoplasty in Virginia is often performed in conjunction with other rejuvenating procedures, such as a facelift or brow lift, in order to enhance the overall effect. The combination of facial procedures does not increase risk to the patient. The surgeon may operate on either the upper or lower eyelid as necessary. When all four lids require surgery, this can be done without any additional risk. Excessive skin is excised, and the herniated fat is extracted, eliminating the puffiness present in the eye. Occasionally, it may be necessary to perform resurfacing procedures, such as chemical peels or laser treatment of wrinkles, in order to achieve the desired effect. A moderate amount of swelling and discoloration immediately after eyelid surgery in Virginia is to be expected. However, these signs of surgery soon disappear, leaving the patient with a brighter, more youthful appearance. A patient may also experience temporary sensitivity to light or have excessive tearing for the first few days after eyelid surgery in Virginia. These symptoms will soon subside. Many patients find it convenient to wear dark sunglasses immediately after surgery in order to minimize these effects. Shortly after surgery, the patient will be able to resume wearing makeup and contact lenses. Within a few weeks, all the signs of surgery will have disappeared, and the surgical scar will be hardly visible. What is it blepharoplasty (eyelid surgery)? Blepharoplasty is a procedure that helps reduce the signs of aging around the eye. It is also called eyelid rejuvenation surgery. 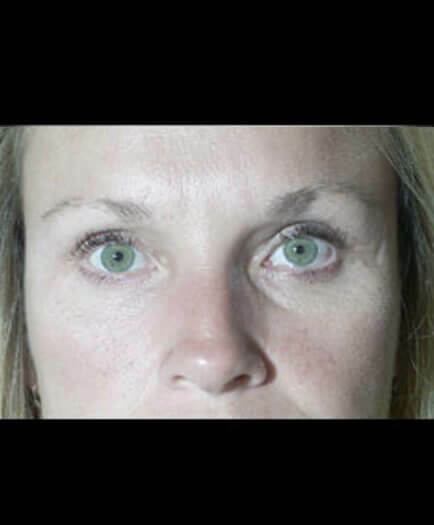 What does blepharoplasty (eyelid surgery) accomplish? The eye is the main focal point of the face. The presence of bags and wrinkles around the eyes can make a person look perpetually tired. The objective of this operation is to eliminate these wrinkles, reduce the bagginess of the eyes, and give the face a more youthful appearance. What happens during the first consultation for blepharoplasty in Virginia? How is blepharoplasty (eyelid surgery) done? The excess skin and fat is removed from the eyelids. The incisions are hidden in the natural folds of the eyelids. Sometimes Dr. Marefat can extract fat through an incision that is made on the inner surface of the eyelid. In either case, the removal of the excess skin and fat eliminates the bags and wrinkles, giving a more rested and youthful shape to the eye. Laser resurfacing is sometimes used as an adjunct to help eliminate fine wrinkles. 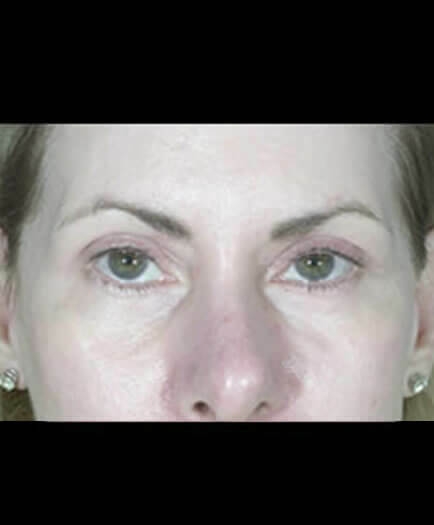 Eyelid surgery in Virginia is often combined with other procedures, such as a brow lift or facelift. Combining these procedures does not increase the risk of the operation. What can I expect after blepharoplasty (eyelid surgery) in Virginia? After surgery you will have some swelling and bruising. This is usually not very severe and subsides within a few days. Your eyes will be sensitive to light, and most people find it useful to wear sunglasses for the first several days after surgery. Patients are generally advised to take one week off from work. This gives ample time to recover from the operation. You should be able to go back to your usual exercise routine after three weeks. When are the blepharoplasty (eyelid surgery) sutures removed? The sutures are removed in less than one week. How many visits do I have after blepharoplasty (eyelid surgery) in Virginia? Can I cover my blepharoplasty (eyelid surgery) bruises with makeup? Yes. You should be able to put makeup on your bruises a few days after surgery. However, we do not recommend putting makeup on your incisions until they are completely healed because this may result in tattooing of the scar by pigments within the makeup. Am I a good candidate for blepharoplasty (eyelid surgery)? The best candidates for eyelid surgery are those who have excess skin of the upper eyelid and fat pockets in the lower eyelid. These problems can make one look old and tired. After your eyelid surgery, you will look more rested and youthful. The ideal candidate for plastic surgery needs to be self-motivated and have realistic expectations about the results. Generally, the younger you are, the better a candidate you are for surgery. A person’s physiological age is more important than his or her chronological age. That is to say, you may be 60 years old, but your skin and general health could be better than that of most 50 year olds. How do I pay for blepharoplasty (eyelid surgery) in Virginia? You can pay for eyelid surgery by certified check, credit card, or cash. Payment for cosmetic surgery in Virginia is expected prior to any procedure. If you are scheduled for surgery several weeks in advance, you may pay by personal check. Will I have blepharoplasty (eyelid surgery) scars? Yes. However, the scars of eyelid surgery are very inconspicuous. The upper eyelid incision is hidden in the natural fold that is present in the lid. The lower eyelid incision is either completely hidden in the inner surface of the lid, or if it is present on the outside, it is covered by the lashes. The skin of the eyelid heals very well, usually without significant scarring. Does blepharoplasty (eyelid surgery) hurt? Yes. However, the pain involved in blepharoplasty is very tolerable. We have heard our patients describe it as headaches or just soreness of the eyes. Many patients do not finish the pain medications prescribed to them for pain relief. Having said that, remember that pain is very subjective, and it is not easy to predict what degree of pain you will have. 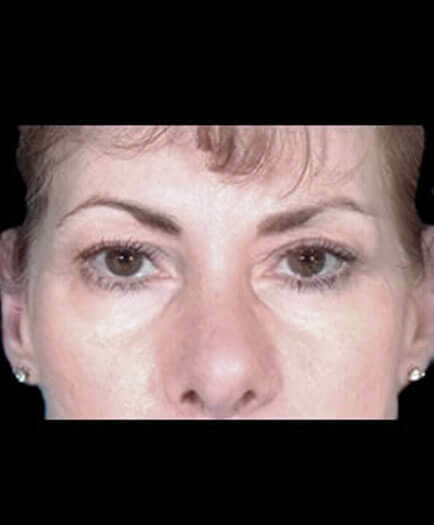 Will I be awake during blepharoplasty (eyelid surgery)? Virginia eyelid surgery is very delicate, and it is better to have some kind of anesthesia while you are having this operation. However, if you are just removing a little excess skin from the upper lid, it may be possible to have this operation with local anesthesia. Where will the blepharoplasty (eyelid surgery) be performed in Virginia? If you are having work done on both your upper and lower lids, blepharoplasty can be performed in the Virginia outpatient surgery center. If you are scheduled for just upper eyelid surgery and are young and healthy, it may be possible to do this operation in an office operating room. Only in rare situations, in which the patient may have risk factors, does Dr. Marefat suggest surgery in a hospital environment. Are medical photographs taken of the blepharoplasty (eyelid surgery)? Yes. Photographs are mandatory for all cosmetic and reconstructive cases. Photographs are the only way for us to compare before and after results. Photographs in plastic surgery serve the same role as x-rays do in orthopedic surgery. How do I get started with blepharoplasty (eyelid surgery) in Virginia? Dr. Marefat and the staff at Metropolitan Plastic Surgery would be happy to help you set up a private consultation to discuss blepharoplasty (eyelid surgery) in Virginia. Schedule an appointment online or call one of our locations at 703-516-7600 (Arlington area) or at 703-560-9583 (Woodbridge). Are there financing options for blepharoplasty (eyelid surgery) in Virginia? Dr. Marefat offers a number of financial assistance programs and payment programs to cover the cost of blepharoplasty (eyelid surgery) in Virginia. Please visit the patient financing section of our website for more details or ask the staff at Metropolitan Plastic Surgery about these options so that you can get started with blepharoplasty (eyelid surgery) in Virginia today.